Good Saturday morning everyone. Tracking a system moving in from the west. Temperatures (mainly North of I-70) will be the deciding factor for snow. 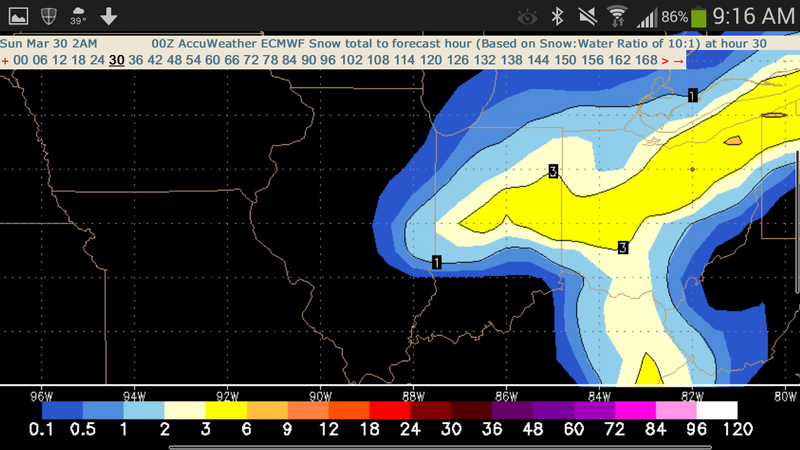 Northern Ohio could pick up a few inches of snow. 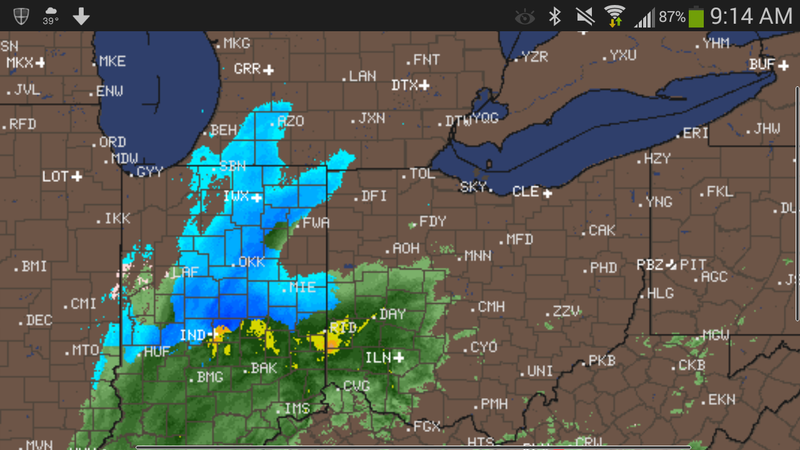 Roads will get a little slick later from the rain and snow. Just wanted to give you a heads up. Have a good one!